Excellent and very insightful!! Thank you!!! Thank you for giving a fresh perspective. As a modern woman I know we are still facing these pregidous and it is refreshing to have someone write about this in such a manner. as an older woman in her 60s, i defended Anne as having been railroaded when i was in college back in 1970. she was as much maligned then as Ms Gregory has portrayed her recently. funny how one has to keep fighting the same battles every generation....and yes to using women and their sexuality as a derogatory insult, indeed as religion has judged women responsible for the FALL of Man, absolving man of any responsibility for his own actions. In most male dominated institutions, such as the military or sports like football...calling the men "ladies" or worse by some anatomical body part specific to women...that is the ultimate insult to a man. no woman of Henry's time or most other times could ACTUALLY refuse the king.or any man. 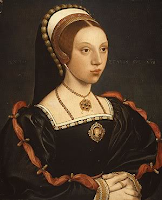 thus, ownership of females as chattel, the wedding ceremony where the bride is handed off as property from father to groom..and even sold.. and yes katherine howard was also USED up...Henry saw her as a FRESH young thing...and his fragile male ego was shattered which is why she died. many women today still suffer untold indignities and inhumanities and worthlessness unless she is of service to a man or a male dominated system. i congratulate the young author for presenting a great insight. funny how even now, your insight is viewed as exemplar cause it is written by a young man. wonder how a young woman would be received. Very insightful and a wonderful read! Bravo!